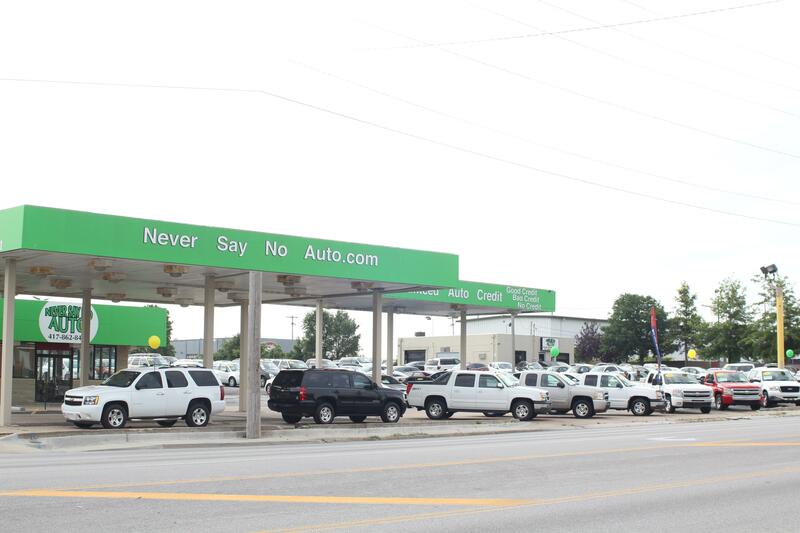 Never Say No Auto is a locally owned used car dealer that sells quality used cars, trucks, and SUVs. We have excellent bank financing options with Good Credit and if you need help getting approved, we have our unique financing program with Guaranteed Credit Approvals. We offer low down payments, affordable monthly payments, and newer quality vehicles with long term warranties available. We can help establish or re-establish your credit when you buy your car, truck, or SUV from us. We will report your good payment history to all major credit reporting agencies! We can use your trade-in towards your down payment. 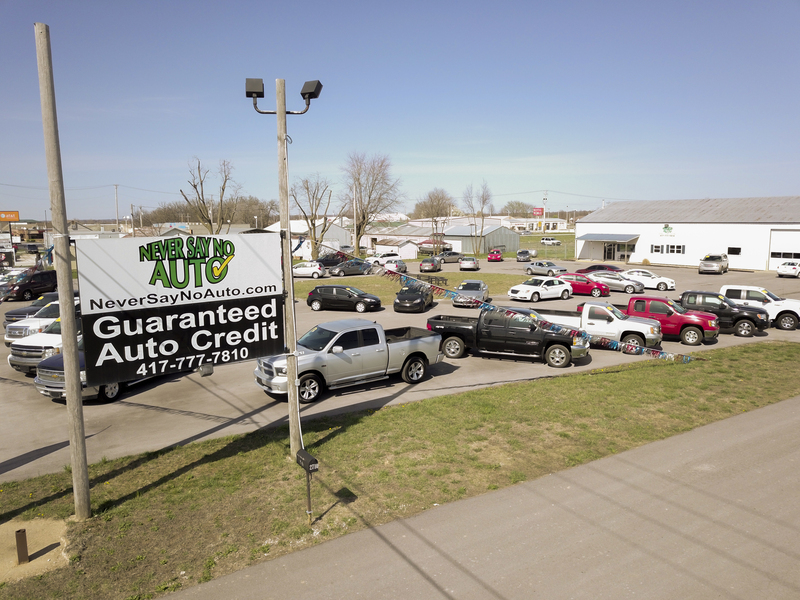 With 2 Locations, in Springfield MO & Bolivar MO we have a large selection of used cars, trucks, and SUV’s in inventory. All of our vehicles go through a 60 point inspection and have a clean AutoCheck history. We have customers in: Springfield 65802, Springfield 65804, Springfield 65807, Springfield 65810, Springfield 65803, Springfield 65806, Springfield 65809, Bolivar, Republic, Nixa, Ozark, Rogersville, Seymour, Branson, Mansfield, Hartville Marshfield, Conway, Fair Grove, Buffalo, Willard, Ash Grove, Greenfield, Stockton, Humansville, Mt. Vernon, Aurora, Monett, Joplin, Jasper, Lamar, Neosho, Cassville, Kimberling City, Webb City, Galena, Nevada, Camdenton, Lebanon, Fort Leonard Wood, Osceola, Warsaw, Rich Hill, Butler, Appleton City, Clinton, Windsor, Cole Camp, and Stover.